The Canary Archipelago is located in the north part of the Atlantic Ocean, next to the west coast of Africa. It is part of the Macaronesia, a word of Greek origin meaning Happy Islands, which also includes the Azores, Madeira, Salvajes and Capo Verde Archipelagos. 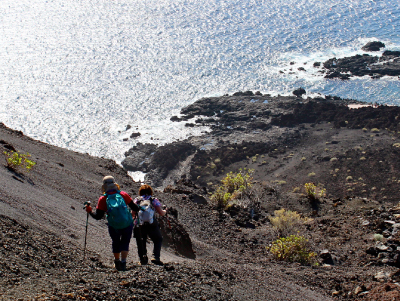 In the Archipelago, El Hierro is known as the Isla Chiquita (the small island), and because it continues to be far away from conventional tourist areas, it is a true paradise waiting to be discovered. On 22 January 2000 the island of El Hierro was declared the Biosphere Reserve by the Unesco. Worldwide 610 reserves in 117 countries form an international network which includes and exceptional variety of environments and lands and offer great scenes of man and nature’s coexistence. Hi, we are Enrica and Paolo! Our love for nature, hiking, uncontaminated areas and traveling brought us together in 2000 in the vast Libyan desert.… Together we began the journey of our life that brought us to El Hierro. It was love at first sight, just as our love was! 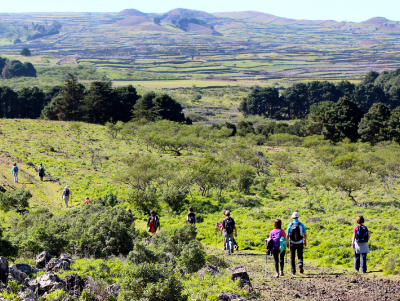 El Hierro has completely captivated us, making us want to participate in its programs for sustainable development which includes tourism. 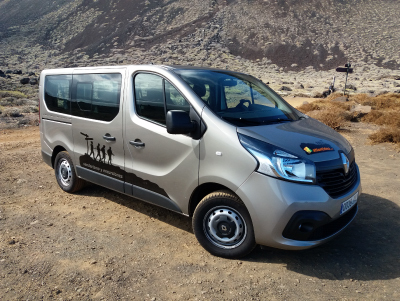 So, the idea of sharing our enthusiasm gave birth to Atlantidea, which offers hiking tours along the island’s trails and joins our experience, passion and attitude in a common project … We are looking forward to meeting you …. !